Explore the few options Shipowners have to choose from to comply with the regulation, while refiners are expected to make changes to refinery configuration and production in response to market demand. 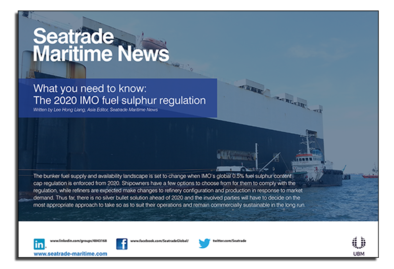 This guide also provides you with the information you need to know regarding bunker fuel supply, as the availability landscape is set to change when IMO’s global 0.5% fuel sulphur content cap regulation is enforced from 2020. Download the whitepaper now and explore the options available to the industry. Are you interested in Offshore & Workboats events? 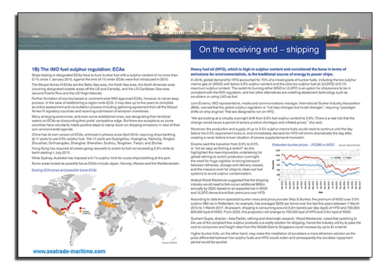 Would you like to receive regular maritime news?